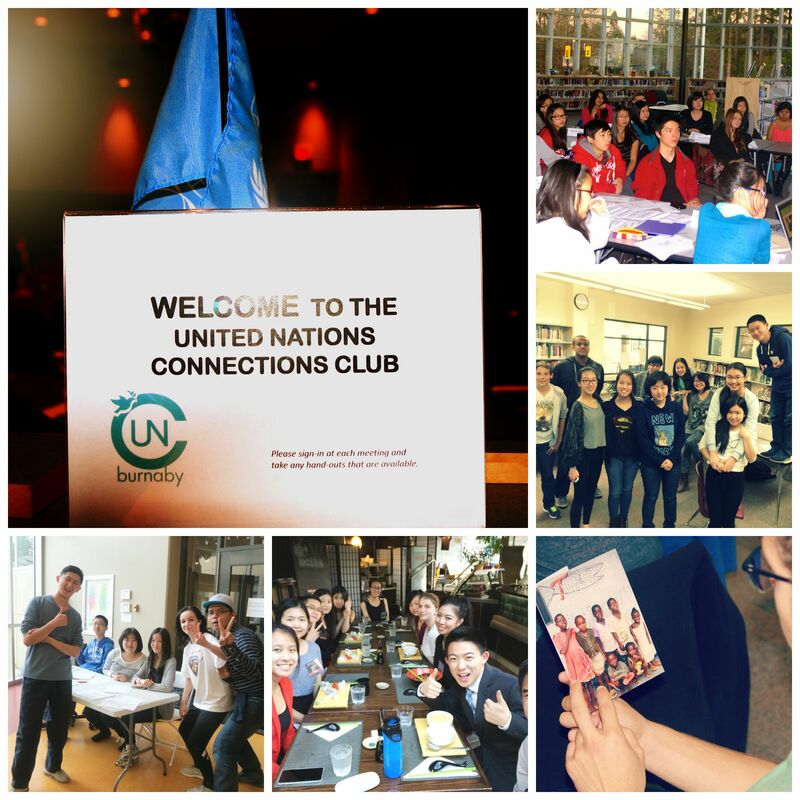 Join Burnaby’s United Nations Club – Making sense of an interconnected world. Together. It’s that time of the year again. Time to choose the club you want to commit to for the rest of the year. You know there are lots of reasons to belong to a club: meet new friends, expand your knowledge, pursue an interest, populate your resume and portfolio for university or work applications, or simply make good use of some extra time. We invite all Burnaby students from grades 8 to 12 to join the United Nations Connections (UNC) Club. This is a longstanding club – in existence for over ten years – and a club that has evolved every year to meet the interests and needs of new members. The UNC is a global issues club. District-wide students meet to learn about and discuss current international events, participate in Model United Nations-style (MUN) debate, attend MUN and global-issue related field trips, make friends with students who like the same things, participate in videoconferences with UN officials and to eat the famous snacks! In some years, there is a rigorous application process for students who want to participate in an international conference held at the real United Nations Headquarters in New York. The first meeting is on Thursday, September 24th, at Burnaby Central in the Main Conference Hall (across from the main office). Meetings start between 3:50pm and 4pm and end at 5:30pm. Don’t miss the first meeting. A special presentation will take place, and all registration information will be gathered. Some of you will want to consider taking the club for 1 IDS credit. September 24th, October 1st, October 29th, November 12th, December 10th, February 4th, February 25th, March 10th and May 12th. All students who join the club will be expected to attend one Model UN conference in 2015-16. There are many one-day conferences and UNC has traditionally attended the weekend-long MUN conference called CAIMUN, held in May every year. There are costs associated with the MUN conferences, more for the weekend events. The club has undertaken some form of fundraising for these each year. If you want more information, email burnabyuncc@gmail.com or tweet @inBurnaby. Previous Post The Fun of MUN. And much much more.